India’s rigid stance to address the problem has been a major contributing factor in perpetuating chaos in the Valley. Citing the handling of the Kashmir issue by the Modi-led government as one of the reasons for his ‘disenchantment’, former Bharatiya Janata Party (BJP) leader Yashwant Sinha in a recent interview with Kashmir Observer described New Delhi’s Kashmir policy a ‘bundle of confusion’. Sinha, who led several delegations to Kashmir during the 2016 unrest in the wake of militant commander Burhan Wani’s killing, said Prime Minister Narendra Modi believes in ‘one-way communication’ while the rest of the party appears to be ‘helpless before him’. 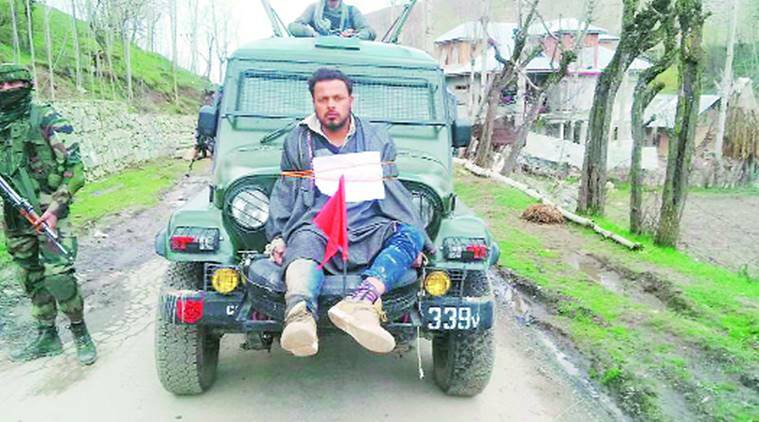 However ‘helpless’ or ‘confused’ the BJP leadership at the Centre may be, the men in uniform deployed across the length and breadth of the Kashmir Valley make no bones about how to handle the situation on the ground. After the imposition of governor’s rule in the state, both army chief Bipin Rawat and Jammu and Kashmir DGP S.P. Vaid said the operations against militants would be intensified in the days to come, hinting at an iron-fist strategy to finish off militancy in the state by killing as many militants as possible. However deep those manning the situation in Kashmir may like to bury their heads in the sand, the increased incidents of violence in Jammu and Kashmir can’t be wished away. 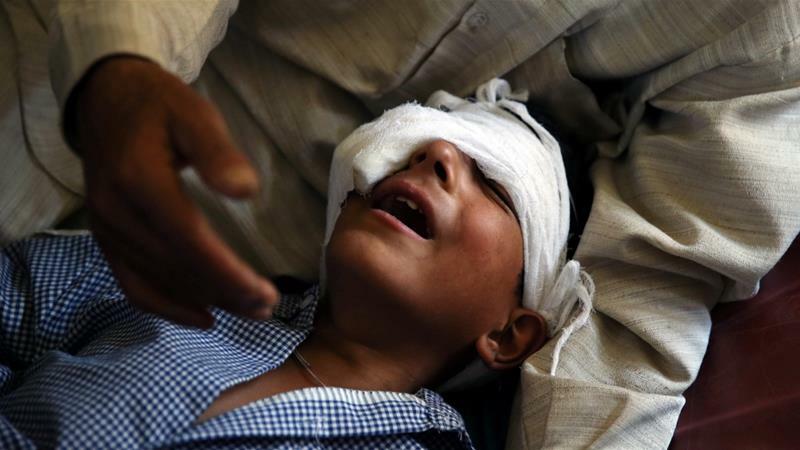 The recent UN report seeks to highlight the decades of suffering by millions of Kashmiris, and that can’t simply be brushed under the carpet. Not only should India welcome the UN report and pledge to act on its findings, including providing unconditional access to UN human rights officials, it should also rescind the draconian Armed Forces (Special Powers) Act, as has been recommended by several international and Indian experts. India should also order a thorough probe into all allegations of human rights violations by the security forces in Kashmir and prosecute those found responsible rather than honouring and rewarding abusive soldiers. While Sinha’s interview hints at the involvement of elements ready to derail the peace process between India and Pakistan, particularly with regard to the resolution of the Kashmir issue, conflict experts opine the bloodletting in Kashmir is stage-managed or controlled by forces that want the pot to keep boiling as long as it suits them. For example, the security establishment in Kashmir every year says the number of militants killed in various combat operations is somewhere between 150 and 180. Excluding the ‘collateral’ damage involving the death of civilians, the number of militants killed has strangely hovered around this figure. That the number of active militants in the Valley remains somewhat constant despite an equal number getting eliminated every year implies the Kashmir conflict has a front end and a backend which do not necessarily complement each other. 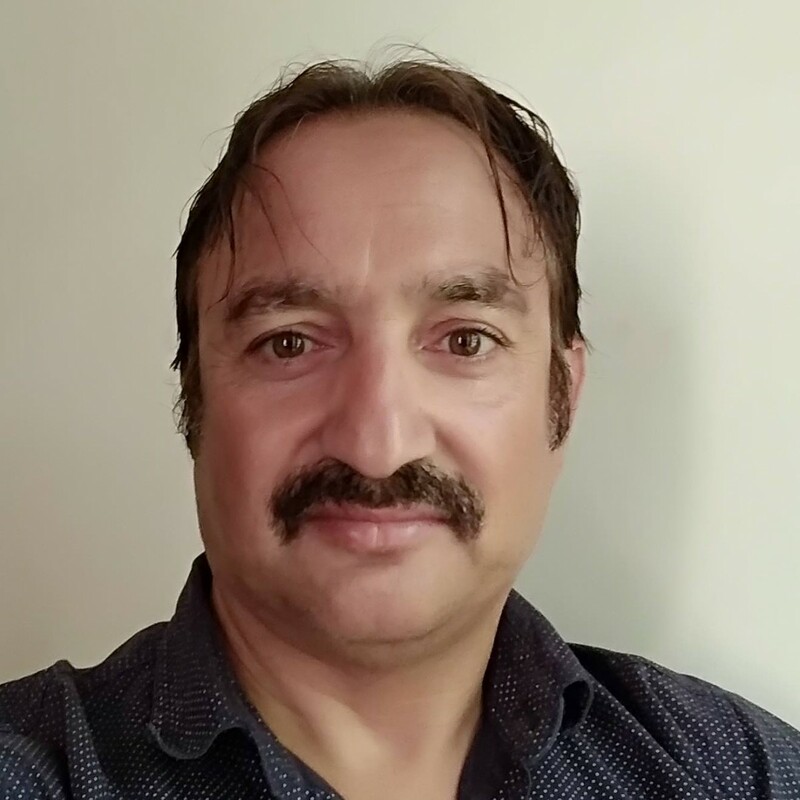 The experts say the bloodletting here suits not only the major players such as India and Pakistan but also the local parties, resulting in a hugely complicated situation from which an honourable exit for the common Kashmiri seems highly unlikely. 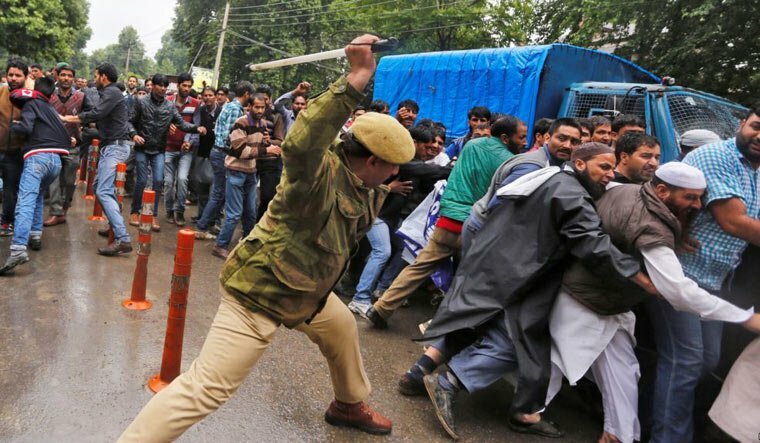 If Sinha’s description of the BJP’s Kashmir policy as ‘a bundle of confusion’ is taken to be true, it is costing Kashmiris very dearly in terms of human losses. Earlier, India would successfully hoodwink the international community into believing that a handful of ‘disgruntled’ Kashmiri youth are up in arms against India but it can actually do very little to explain why highly-educated youth such as the geology scholar from Aligarh Muslim University Mannan Wani or the Kashmir University professor Mohammad Rafi Bhat have given up their illustrious careers to take to militancy. This cannot be disregarded as an ordinary development but sooner or later, it has to be taken into account, and measures announced to put an end to the bloodletting in Kashmir once for all. History bears witness, Kashmiris are the most peace-loving people in the world. During Partition, Kashmir was the only place untouched by the communal wave that saw millions slaughtered in the name of religion. Both India and Pakistan will have to do some soul-searching to find out why a peaceful nation has all of a sudden turned violent. India’s rigid stance to address the problem has been a major contributing factor in perpetuating chaos in the Valley. India must realise that a massive military build-up in Kashmir has been counterproductive, and the stories of claiming victory over a handful of militants are nothing but rhetoric. That militancy can’t end by using force is corroborated by none other than army chief Rawat’s assertions that neither the forces nor the militants will be able to achieve their goal. Thus a pragmatic approach to the Kashmir problem is the need of the hour. To begin with, India must pay heed to Imran Khan’s offer of talks for addressing all issues between two countries, including Kashmir. Farooq Shah is a Kashmir-based journalist. Note: The figure for the number of army soldiers stationed in Kashmir is approximately half a million, and not a million as was stated in an earlier version of the article.